From The Lecturer's Desk: Northeast Lecturers to Meet in Mass. Great News... The 2019 Lecturers’ Conference is coming together and looks better than ever. As I reported last month it will be held August 5, 6 & 7 at the Devens Common Center in Devens, Massachusetts. The cost for the conference will be $330 for a single room, $265 for a double room and only $220 for a triple room. Being at a conference center will definitely meet our needs much better than being on a college campus. I am really looking forward to being there. 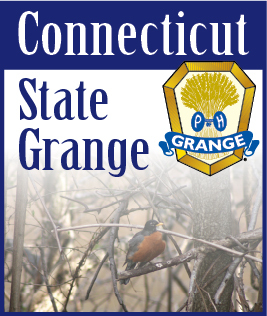 Janet Segur, the Massachusetts State Lecturer and President of the Northeast Grange Lecturers’ Association has put a lot of time and effort into planning the conference and is doing a great job laying the groundwork for our new format. Hopefully lots of our Lecturers and other interested people will be able to attend. How well do I know you? My Workshop at the conference is entitled “Getting to Know You”. If you were there two years ago, some of it will be on the same idea but a lot is being added so you can get to personally meet people from other States. Where did you meet your husband? Was it in the Grange? I meet Carl at a Youth Conference in Vermont. That makes this 60+ year Granger feel really old. Spring should be here by now. How about taking some pictures of Spring Flowers or of a Grange event you are having. There are six categories and you can enter a picture in each. The categories are America the Beautiful, Animals, Grangers in Action, Family Celebrations, Historic Places or Events and Antique Vehicles. Judging will be part of “Let’s Celebrate”. Watch for more information next month or ask your Lecturer. Please remember I am always here to help you and your Grange. Call me, text me or chase me down at a meeting.